For those who want to try weaving on a table loom for the first time or just want to get to know the basics of weaving on one, this weekend course is for you. This two day course will introduce you to a four shaft table loom, making a warp, putting the warp on and weaving the warp you have put on. 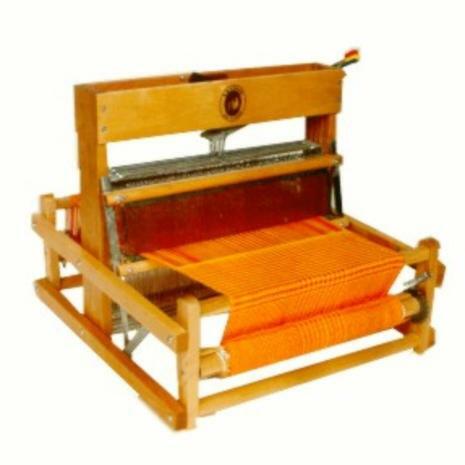 On Saturday you will be introduced to your loom, you will make a simple warp and will put this on your loom. On Sunday you will weave the warp you put on the previous day. Loom and materials provided at workshop. Workshops 10 am - 4 pm each day. Light vegetarian lunch included each day. £140 per person for the two days.